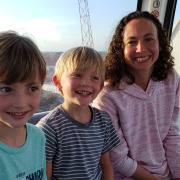 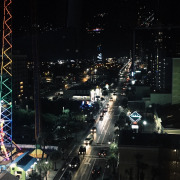 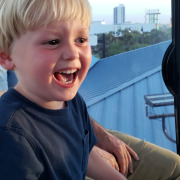 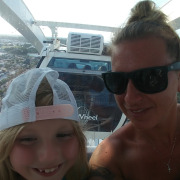 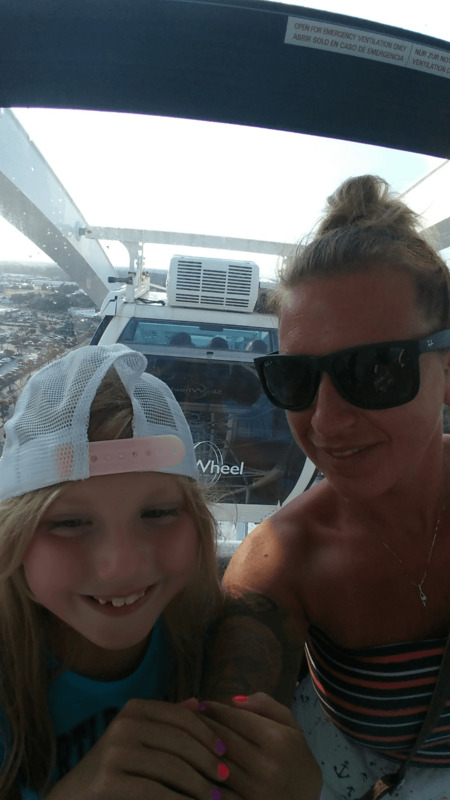 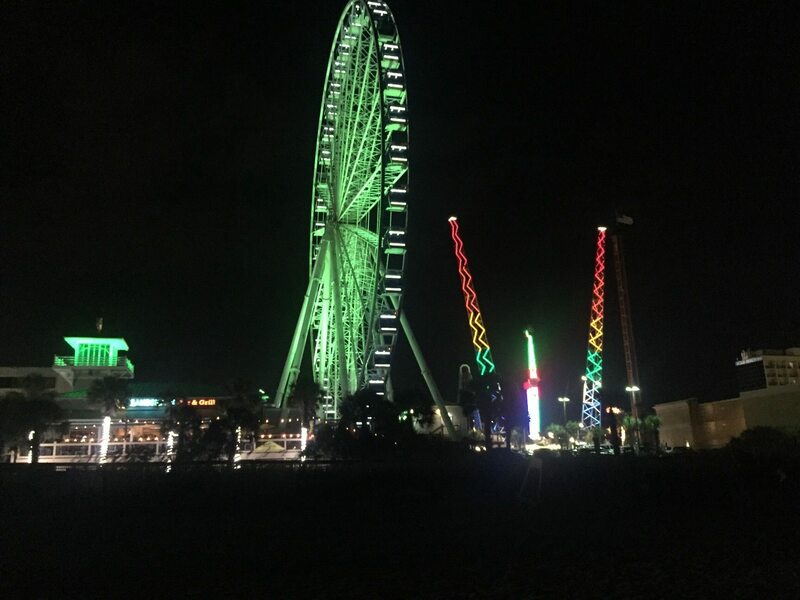 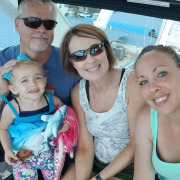 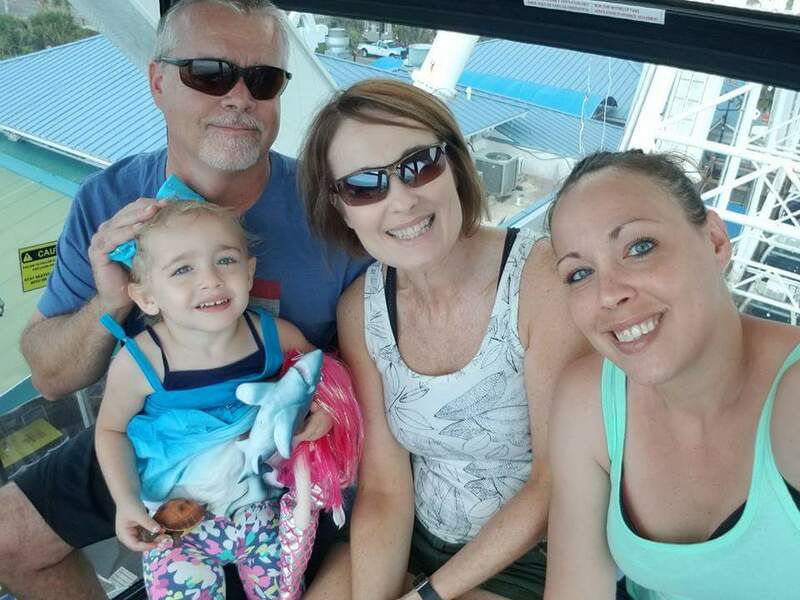 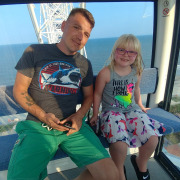 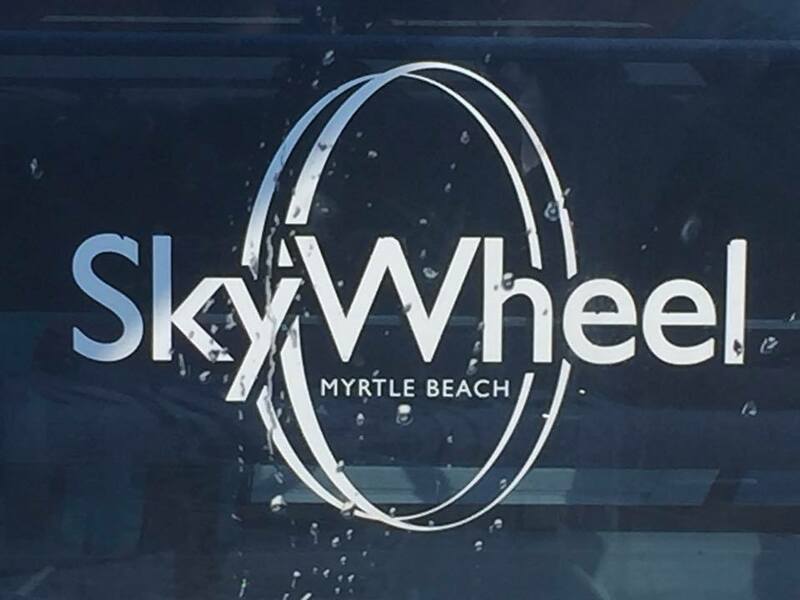 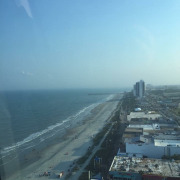 Located along North Ocean Boulevard at Oceanfront Boardwalk and Promenade, Myrtle Beach SkyWheel offers an exciting experience for families, couples and groups alike. 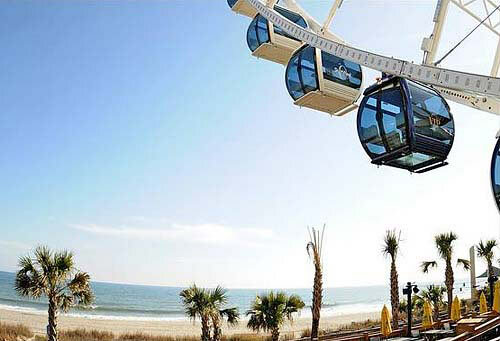 The 187-foot ferris wheel is made up of 42 glass-windowed, temperature-controlled gondolas that each take up to six guests at a time around for three revolutions. 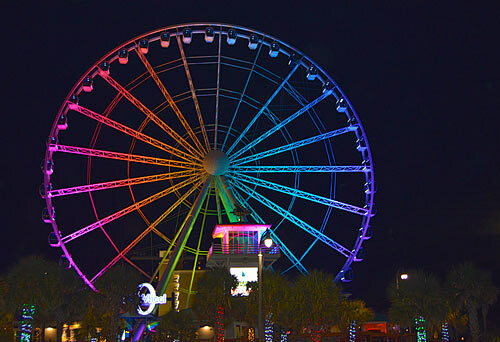 The ride lights up at night for an even more magical experience. 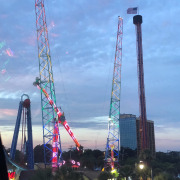 Located at Myrtle Beach Boardwalk. 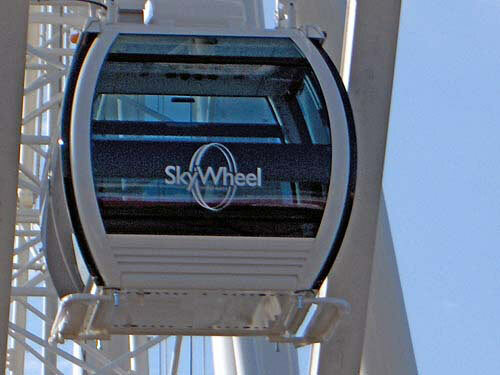 Glass-enclosed gondolas are climate controlled. 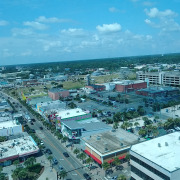 Landshark Bar & Grill next door. 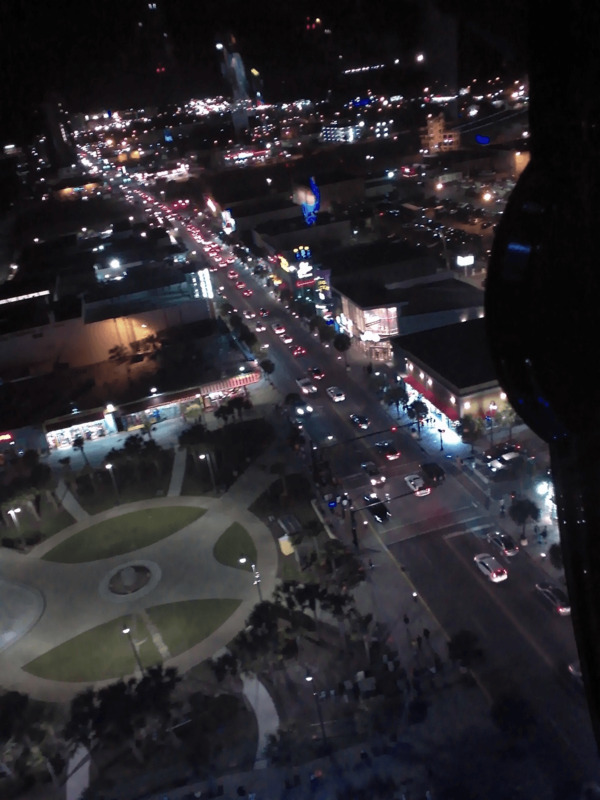 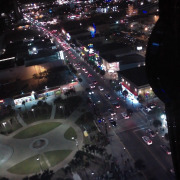 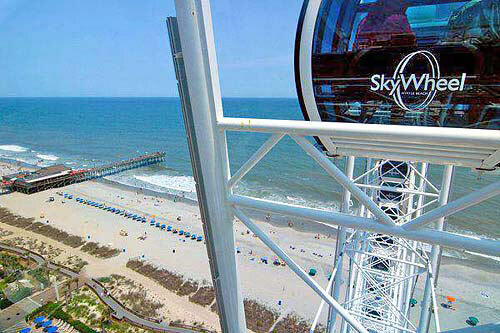 Rise almost 200-feet above Myrtle Beach. 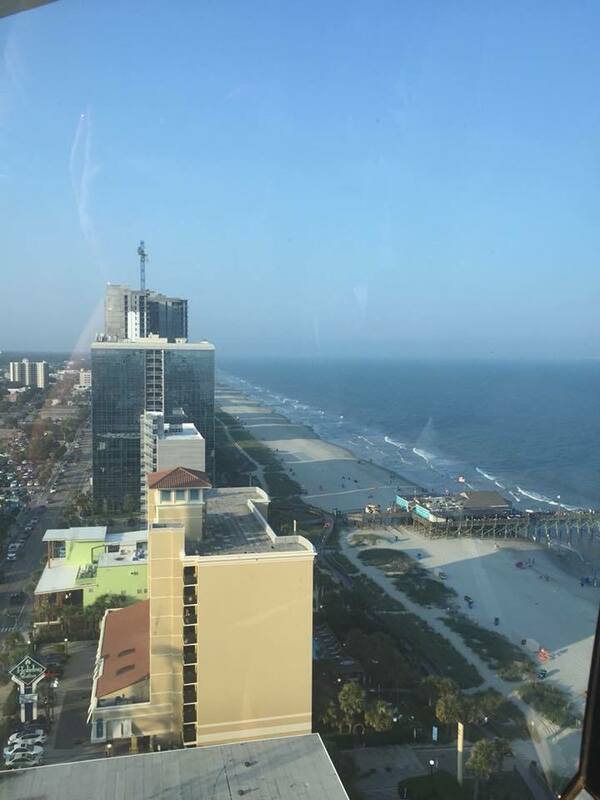 Excellent views of the coastline. 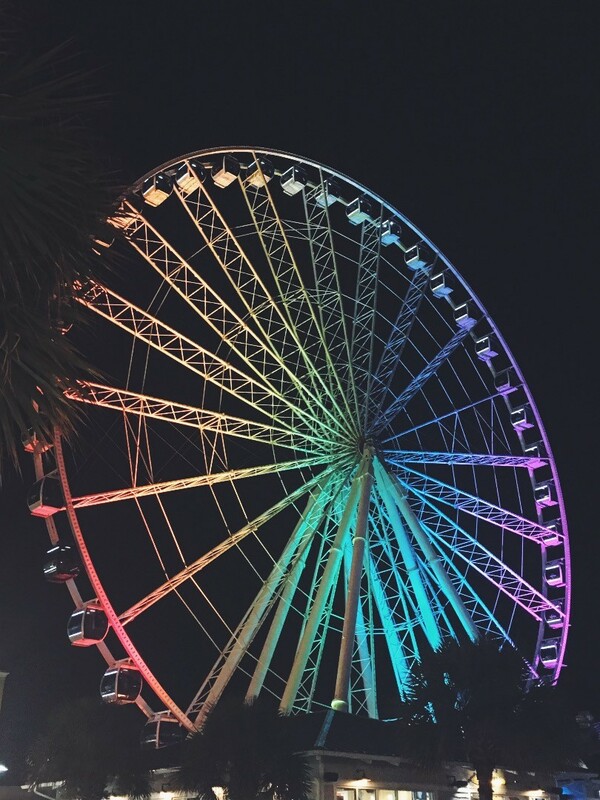 First, man flew to the moon and then, in 2011, they invented the SkyWheel – the first observation wheel of its kind in the United States. 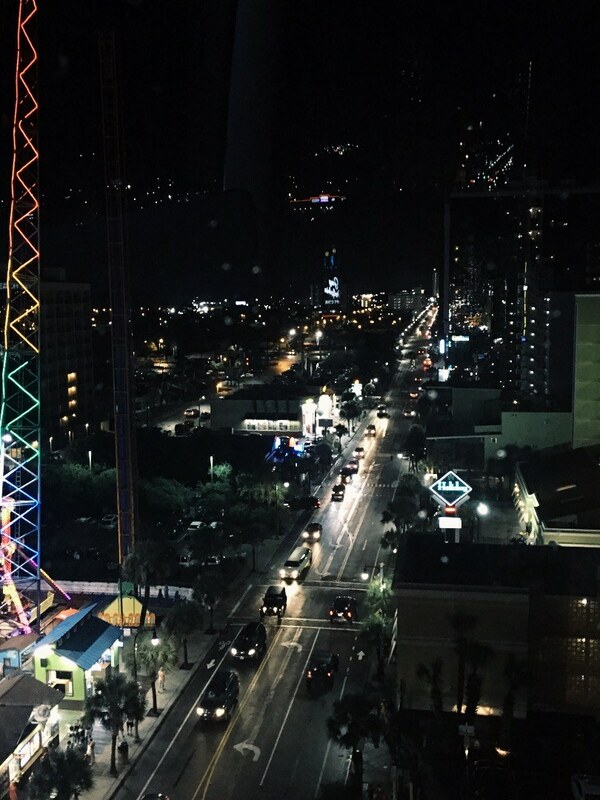 Want a better perspective? 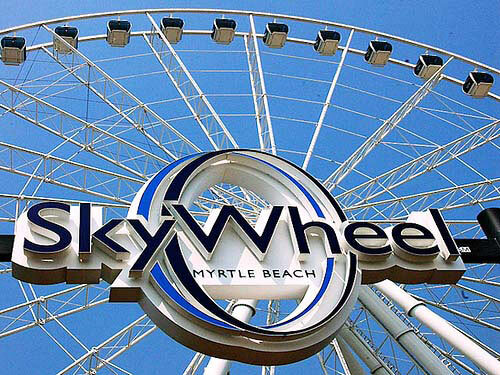 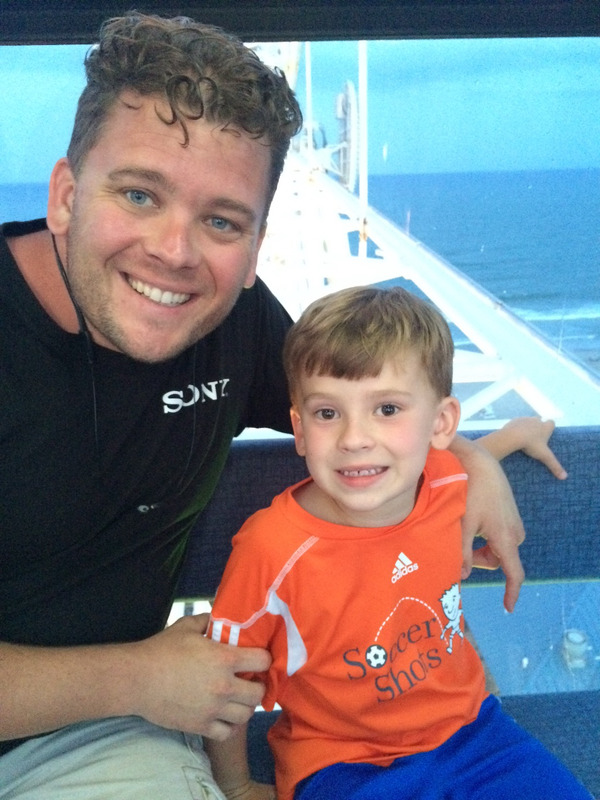 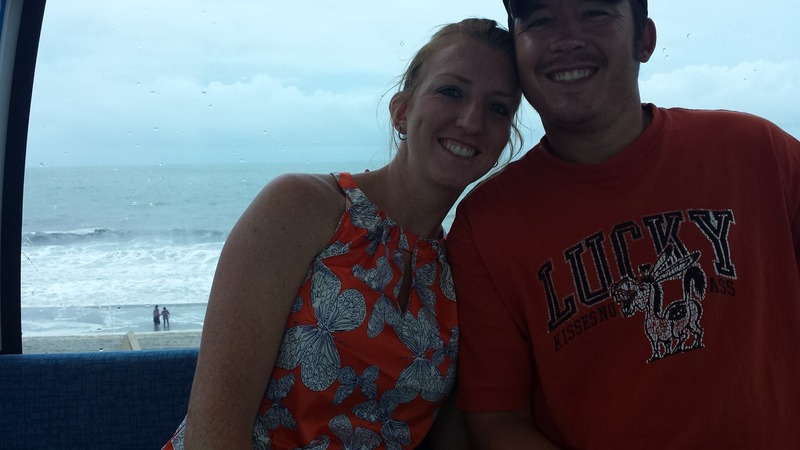 The Myrtle Beach SkyWheel is 200-feet above sea level. 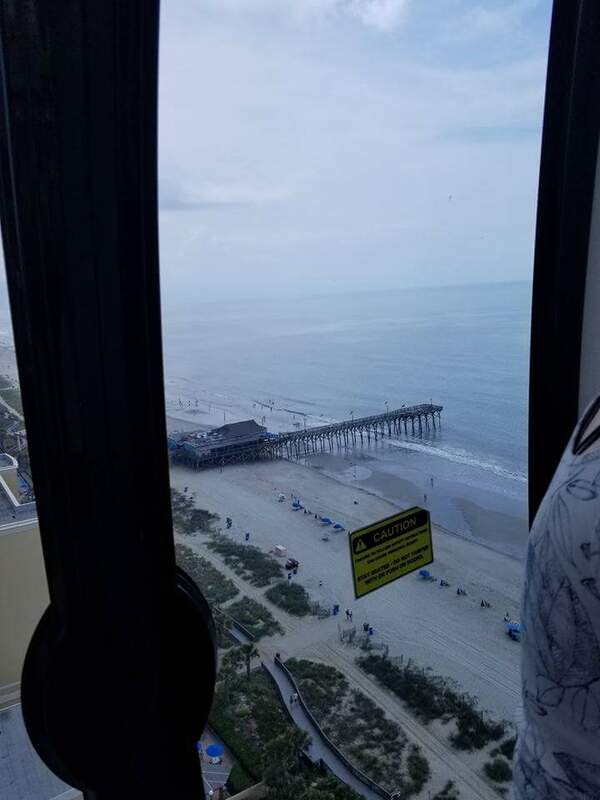 Take a flight overlooking the Atlantic Ocean and the Myrtle Beach Boardwalk in one of our 42 climate controlled and fully enclosed gondolas. 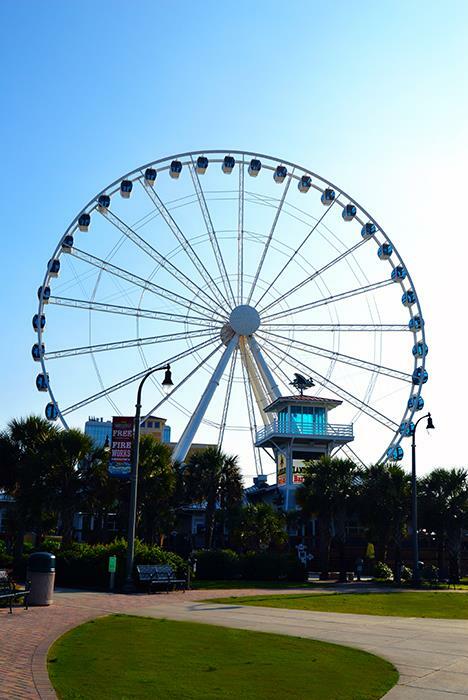 Situated as a centerpiece of the 1.2 mile-long Oceanfront Boardwalk and Promenade, the SkyWheel is surrounded by some tasty eats, great shopping and the pristine sands of the Atlantic. 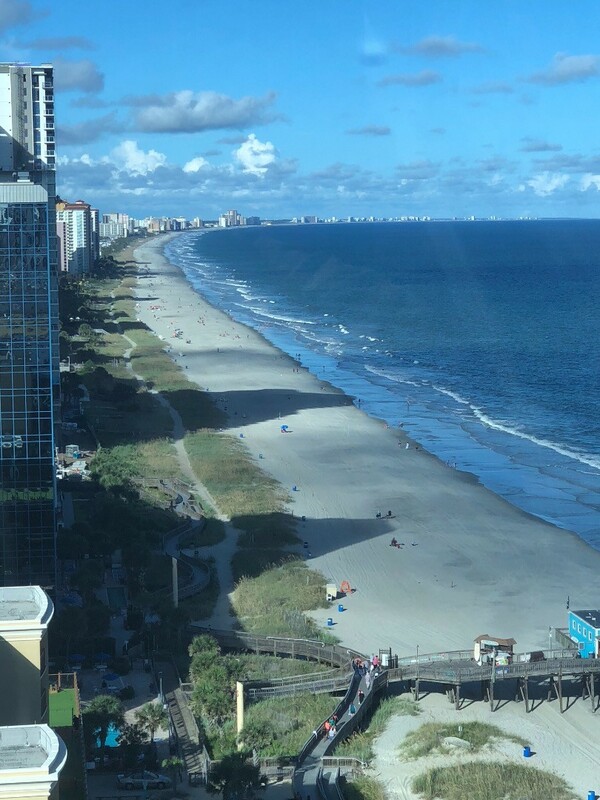 When you’re done having your breath taken away by the view from your flight, browse the LandShark SurfShack and then grab a bite at the LandShark Bar & Grill. 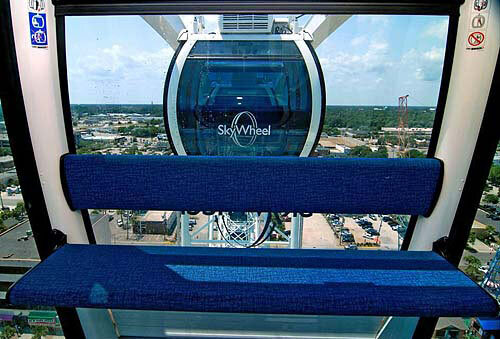 The ride lasts approximately 12 minutes with 4 rotations of the wheel. 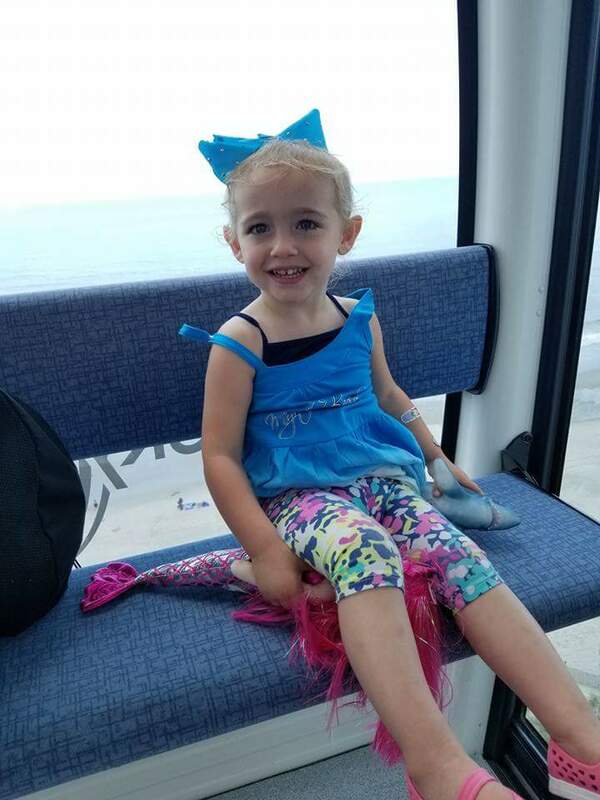 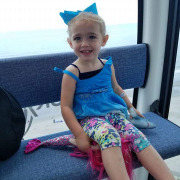 Children under the age of 2 get to ride free with an Angel Ticket. 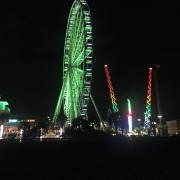 Must visit the box office upon arrival to receive angel ticket. 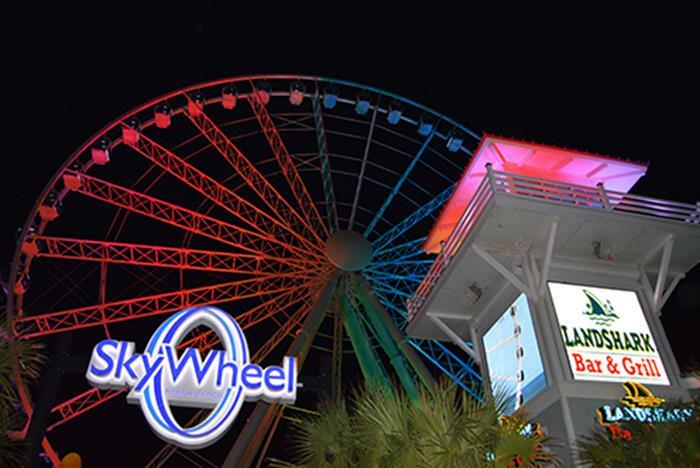 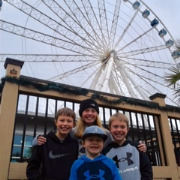 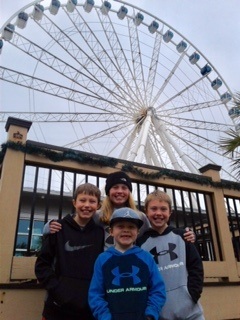 The SkyWheel is open daily year-round at 11:00 am, typically only closed for Thanksgiving and Christmas. 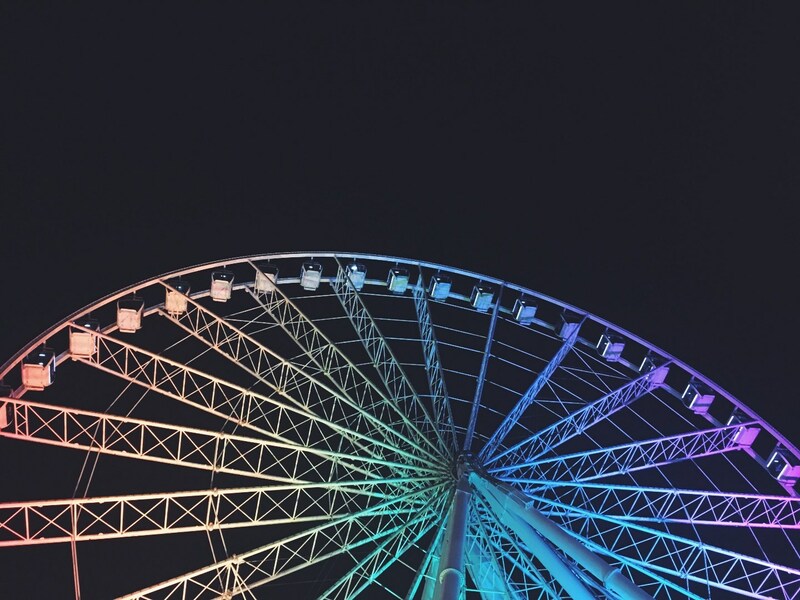 A flight is three revolutions, so it’s usually about 8-12 minutes in total. 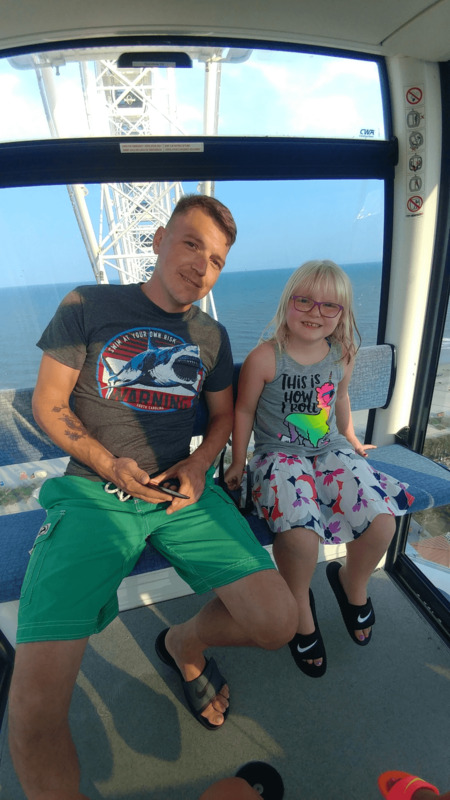 They do not allow pets, only service animals are allowed. 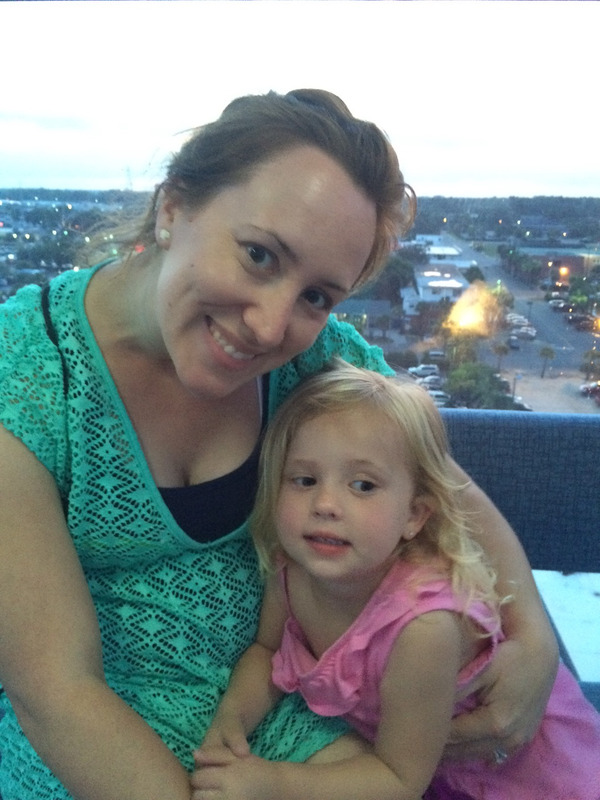 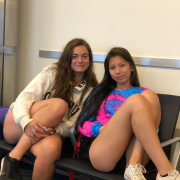 Are infants welcome on flights? 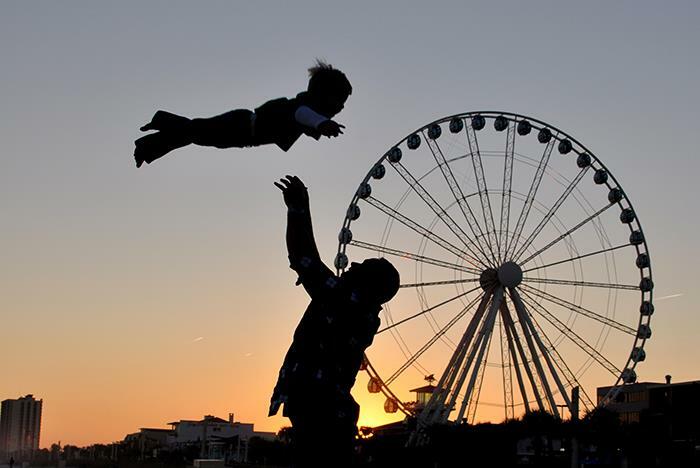 Yes, children 2 and under are free. 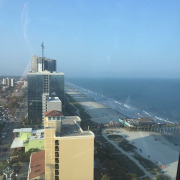 You must visit the box office upon arrival to receive an angel ticket. 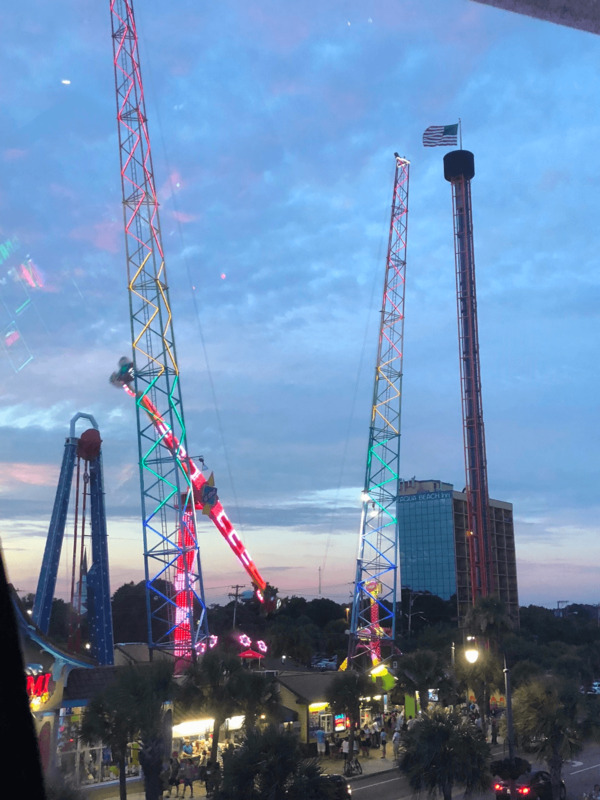 Depends, safety is our top priority. 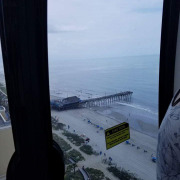 They do not operate in severe weather or lighting. 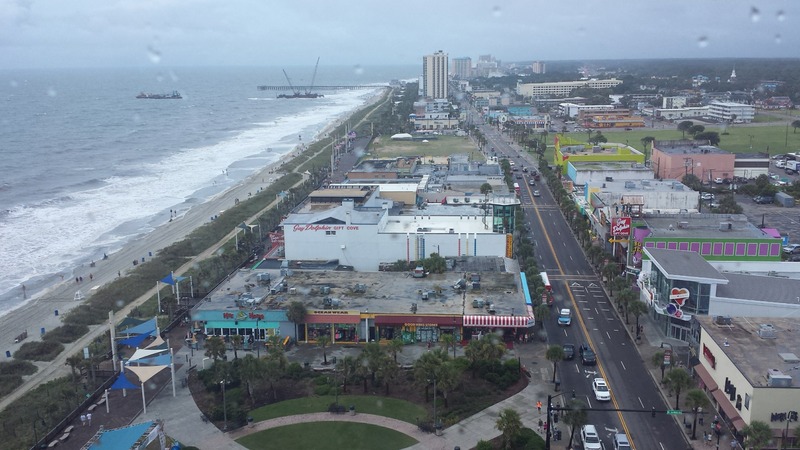 You can always call to inquire if they are closed for weather. 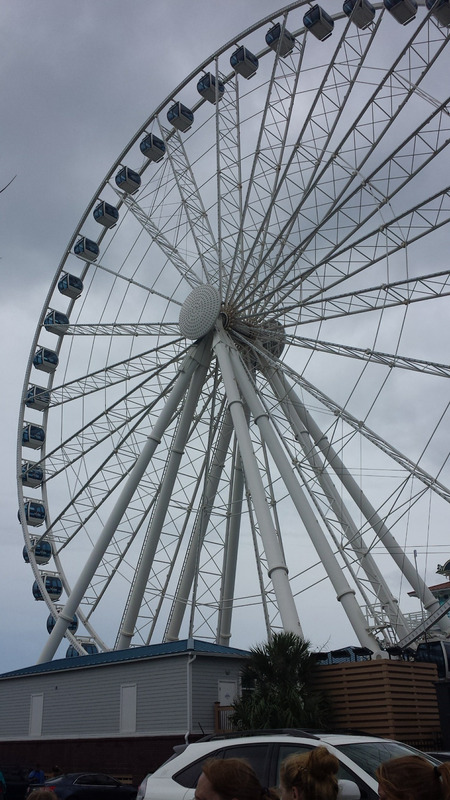 If you’d like the easiest access to the SkyWheel, there is a paid parking lot right next door. 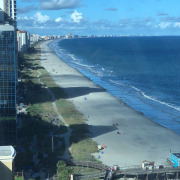 Unfortunately, we do not own the lot so we can’t control the pricing and parking is limited. 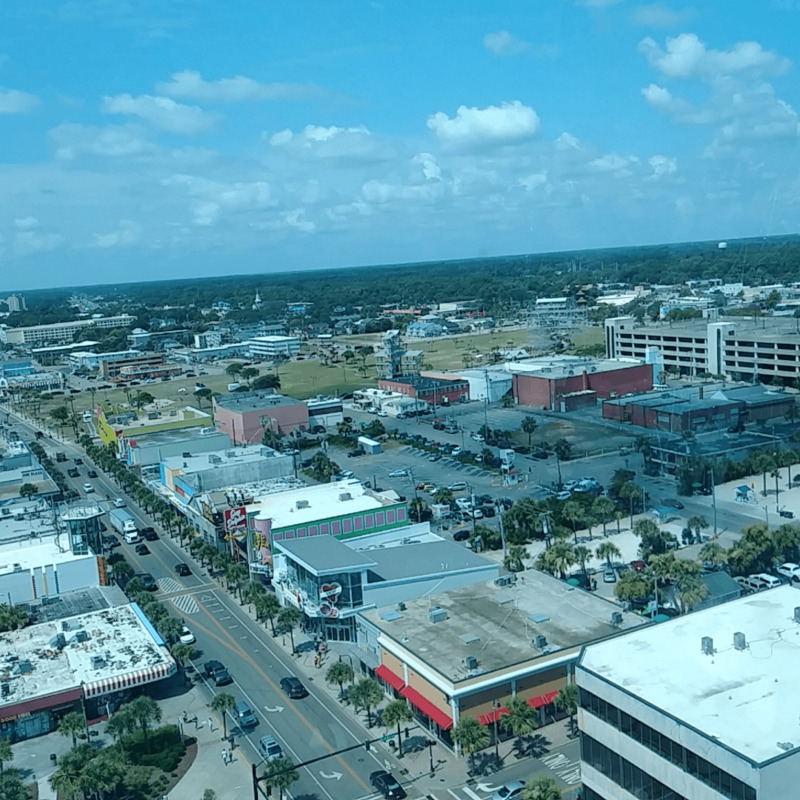 There are some metered spots all along Ocean Boulevard. 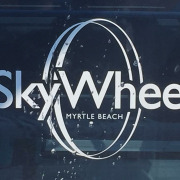 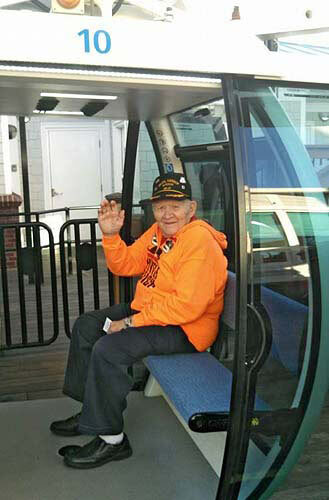 Is the SkyWheel wheelchair accessible? 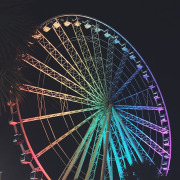 Yes, they can accommodate you. 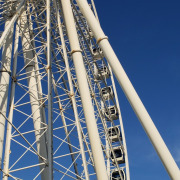 Anywhere from 2-6 people can fit at one time. 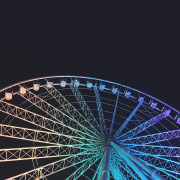 And don’t worry, if there are just a few of you, no strangers will be put in with you. 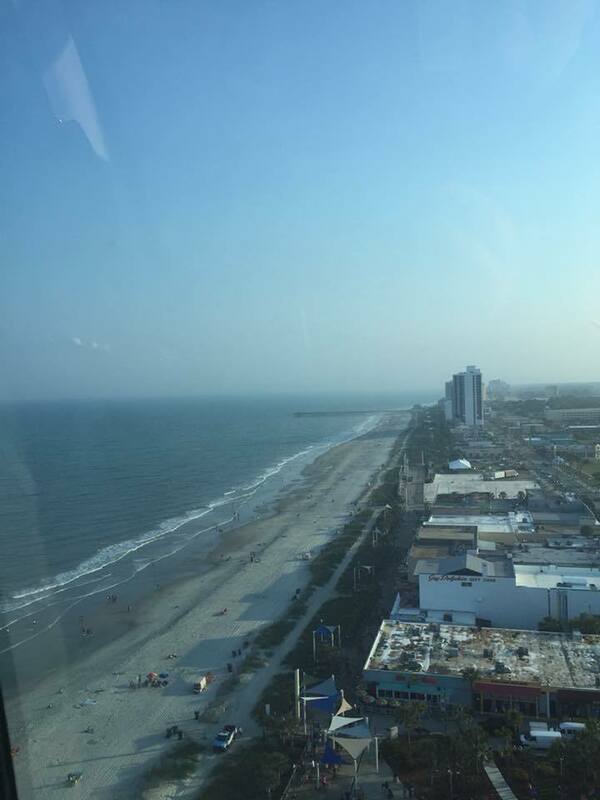 Each flight is your own private experience!